Sunday June 30, 2019	| 06.00 pm	| Rathausplatz – admission free! 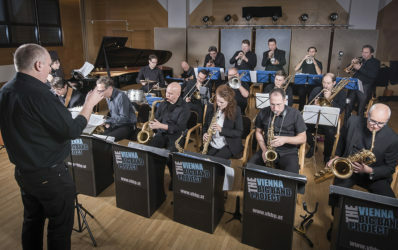 This band is a key element of the Vienna jazz scene. The 20 musicians are fully committed to the Big Band Sound and swing in the footsteps of the classic big bands of yesteryear. 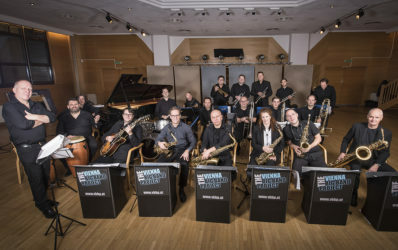 Modern compositions and original compositions from the likes of bassist Peter Strutzenberger can be found in their sets as funkier mainstream big band sounds or swing classics from the big band era. The stylistic breadth of the band, which is always accompanied by various singers, is way the band’s popularity continues to grow. The band’s motto appears to be “something for everyone” which offers something to listeners of all ages.